Step by step instructions on how to make your own gimmick cards. Perform this with regular cards or jumbo cards - both work well. Full stand-up comedy routine Paul has uses for years in comedy clubs, cruise ships and corporate shows. 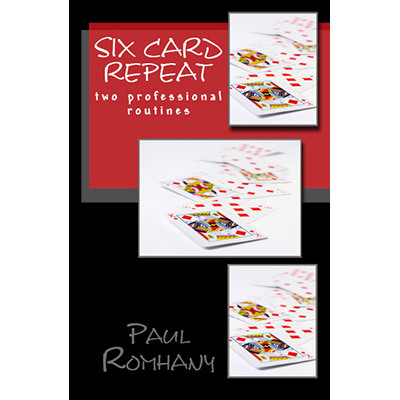 Paul's original handling and routine for his famous Five Card Bunny Repeat - a variation that is perfect for the family entertainer. Photographs showing the handling and mechanics of this routine making it VERY EASY to learn and perform.